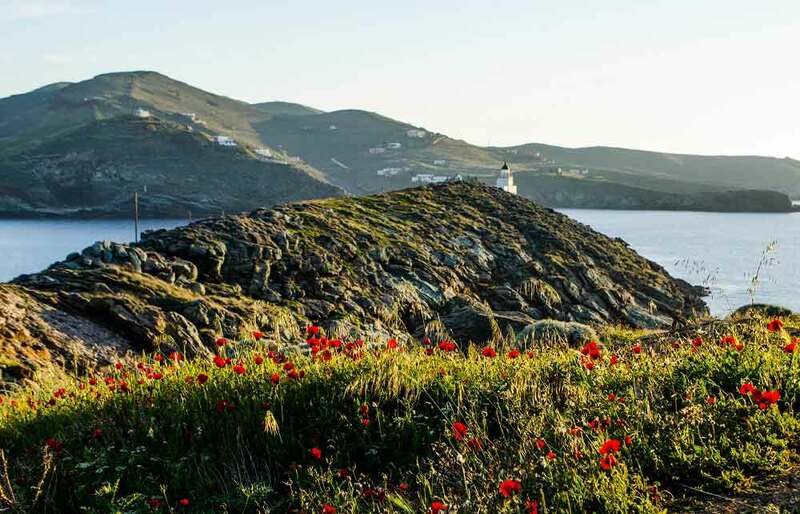 Let us take you on a full day journey to mysterious Kea, probably one of the last well kept secrets in the Cyclades! 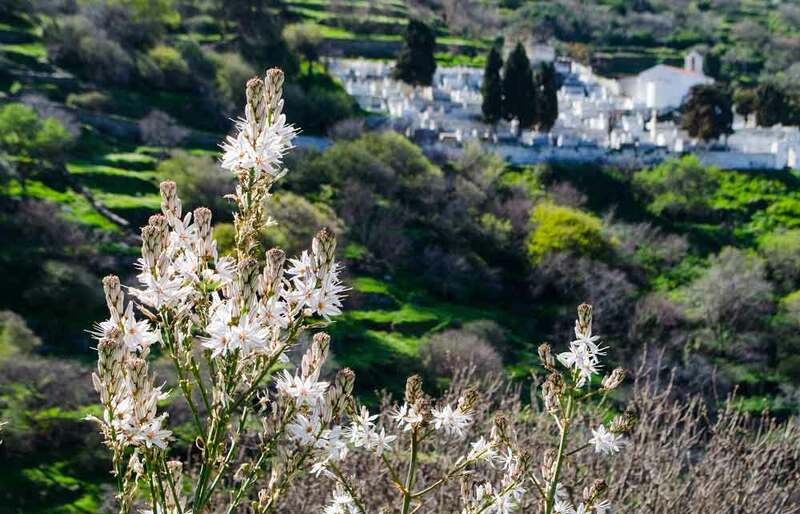 If you happen to be a tourist in the city of Athens who wants to visit an island, this daily excursion is by far the best Cycladic island experience you can get in just one day! 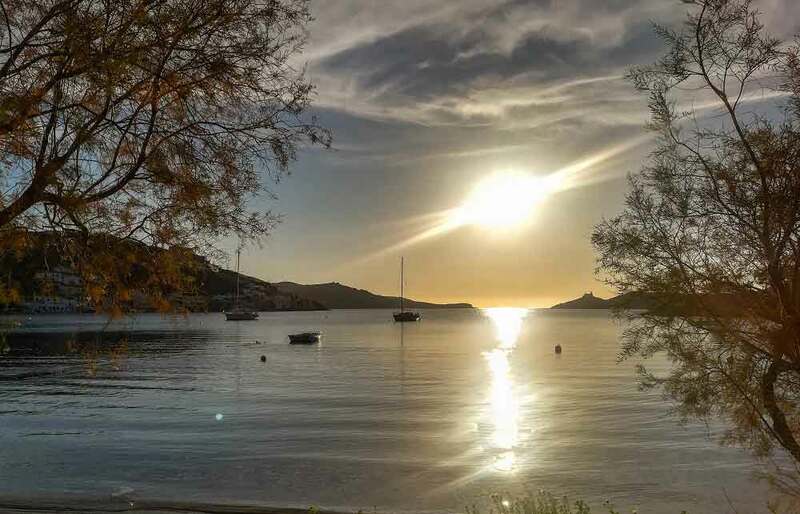 You will be picked up from or near your hotel in Athens and transferred to Lavrion port in order to take the ferry trip to Kea (1 hour trip per way). 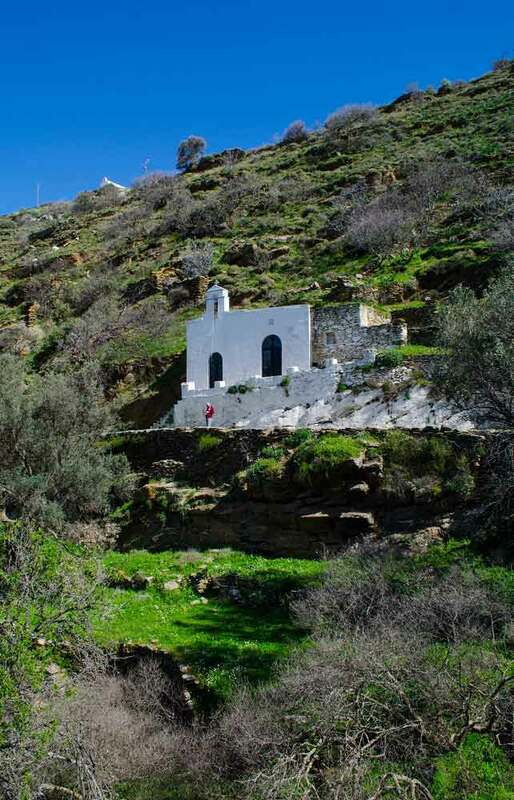 Our guided bus tour will first take you to Kea’s capital, Ioulida, which is spread over three hills that offer majestic views to the Aegean sea, where you will have time to explore the beautiful traditional town with red tile roofs and arched passages, shop in its old picturesque shops and try delicious yogurt or sweets at one of the traditional cafés. 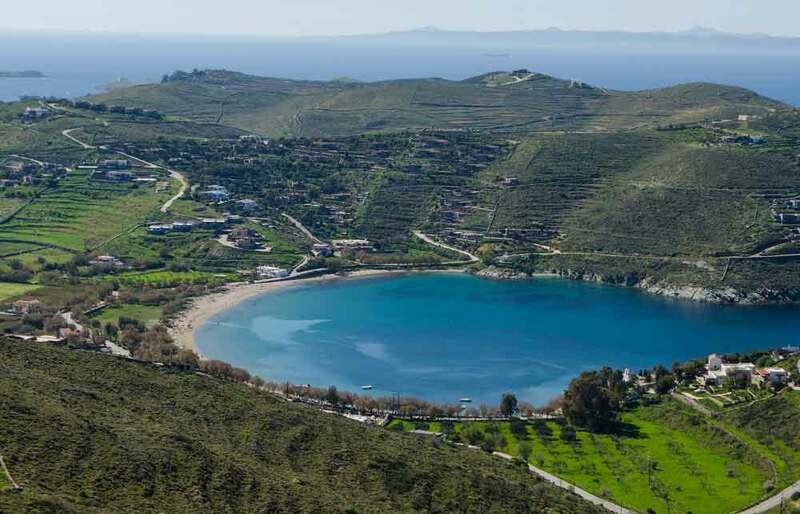 We will visit the Stone Lion of Kea, the island’s landmark which lies at the edge of Ioulida and offers panoramic views of the town, stop at the Archeological Museum or visit the remains of an old Venetian Castle. 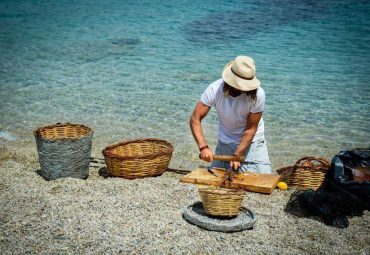 This tour was carefully designed to reveal the best of what this unique island has to offer: astonishing history, prominent monuments and museums, serene sandy beaches, natural oak paths discovery and delicious food served directly by the sea! 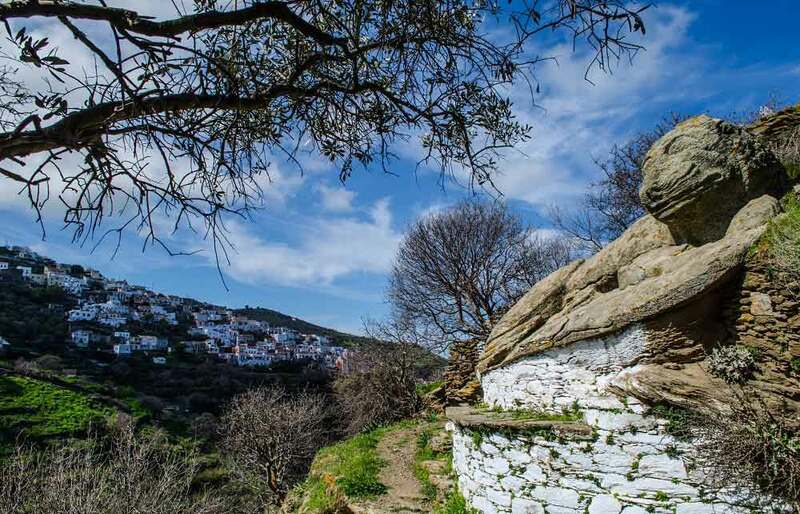 The tour continues to the idyllic monastery of Panagia Kastriani, which stands proud on the edge of a daunting cliff overlooking the Aegean Sea. Afterwards you will be driven to one of Keas’ serene beach, where you can enjoy a refreshing swim or have lunch in one of the excellent seaside restaurants. 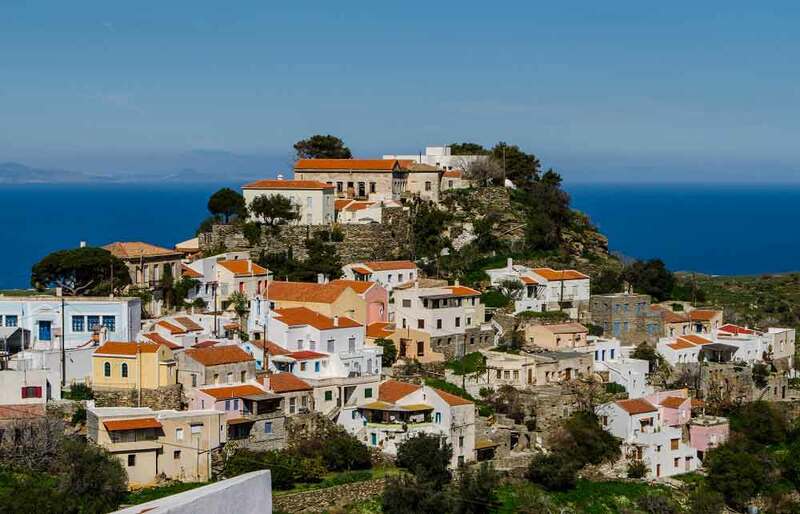 Next, a stop near picturesque Vourkari reveals various monuments and sights of great archaeological significance, while it also gives an opportunity for photography lovers to take some amazing panoramic shots of the entire bay area of Vourkari, Gialiskari and Korissia. Finally, before reaching the port, we will make a stop for local wine tasting and presentation of the oak trees at the acorn production farm, to find out how delicious cookies, pasta, and other local products are made. At the end, you can always do some last minute shopping in Korissia before taking the return ferry back home. The guided bus excursion in Kea lasts approximately 7 hours (10:00 – 17:00) however the tour times and itinerary may be slightly adjusted depending on the ferry schedules (timetables are seasonal). This tour is organized (group) with minimum number of participants 10, or it can be arranged privately for small groups of 1 – 4 persons (by private car) or larger groups (up to 39 persons) by minibus. The tour is offered in English or Greek language. Other languages (French, Italian, Spanish, German, Dutch) are available upon request at extra cost. Children (5 – 10 years old) and infants are welcome to participate with parental guidance. Ferry schedules are a subject to change without prior notice, in which case, your tour times may be rescheduled accordingly. All boat transfers and tours are weather permitting. We will start our journey with pick up from your hotel or the terminal, and head to Lavrion port via the picturesque coastline of Athens. On our way to Lavrion we will pass by the southern areas like Marina Fliosvou, Alimos, Glyfada and Voula, the high-end coastal suburbs of the city. It is time to take our ferry to Kea! The local ferry ride is approximately 1 hour long, and you can enjoy the indoor or outdoor deck and sea views, have a coffee or snack on board. 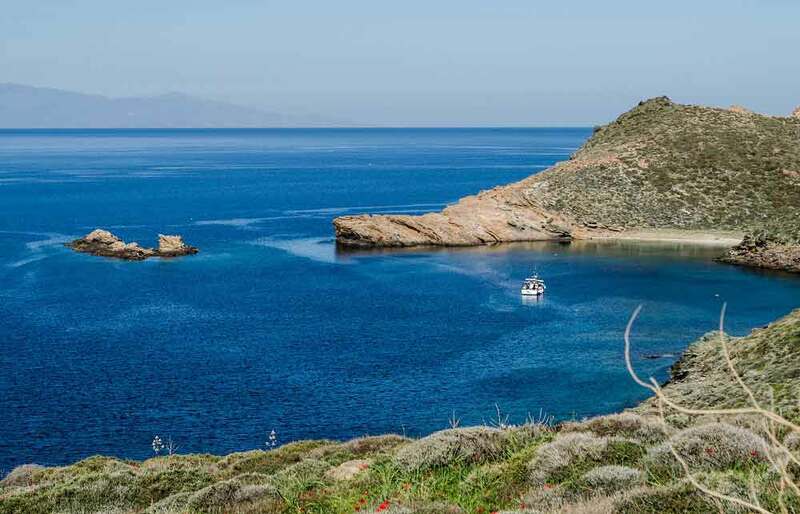 Our guided bus tour will start from the port of Kea and take you to the island’s capital, Ioulida, which is spread over three hills that offer majestic views to the Aegean sea. 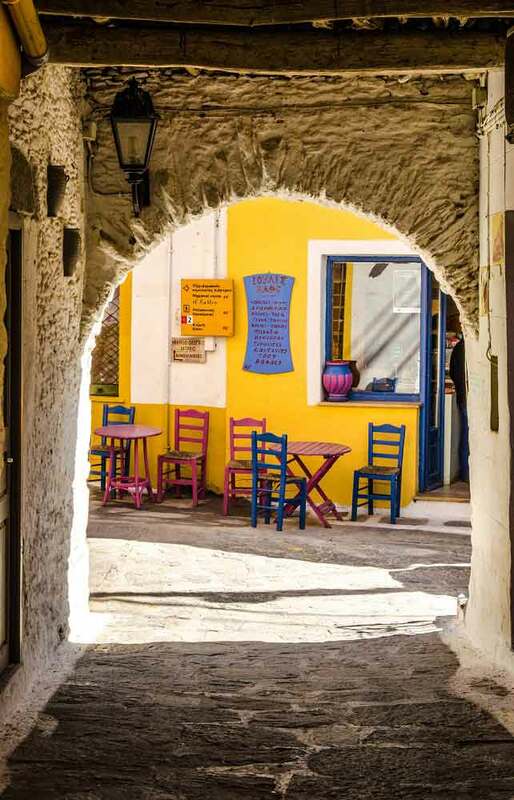 You will have approximately 2 hours at your disposal to explore the beautiful traditional town, walk to the island’s landmark, the famous Lion of Kea, the Archaeological museum, stroll along the picturesque alleys, shop in traditional stores or try delicious yogurt or sweets at one of the traditional cafes. 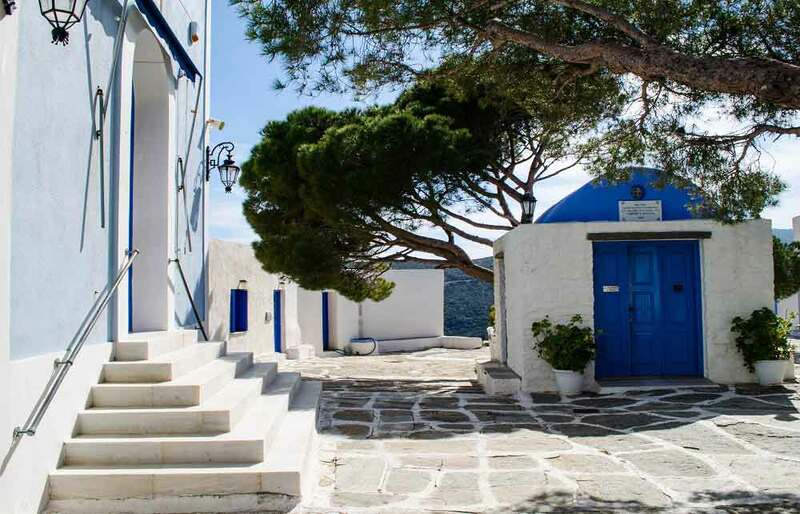 After making a short stop at Panagia Kastriani monastery to admire the Aegean blue and panoramic views to the sea, we will head to a beach for a swimming and lunch stop. 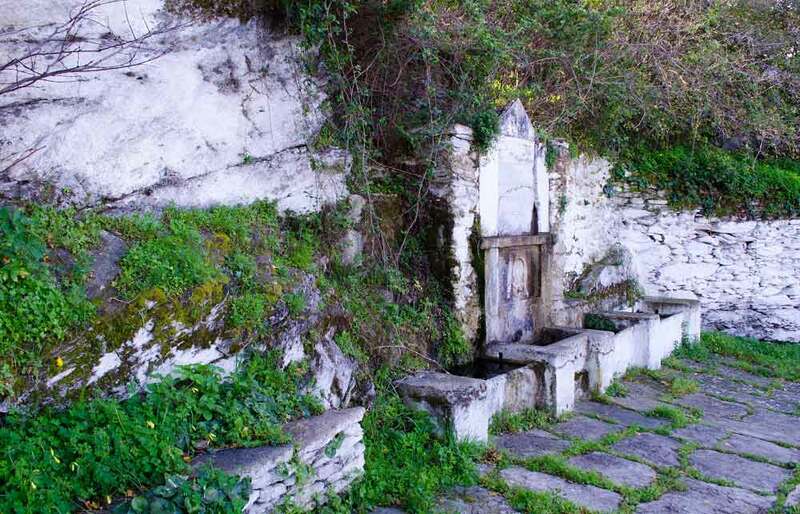 Next stop is the famous village of Vourkari, known for various monuments and sights of great historical significance, excellent seaside restaurants, shops and jet setter scene. 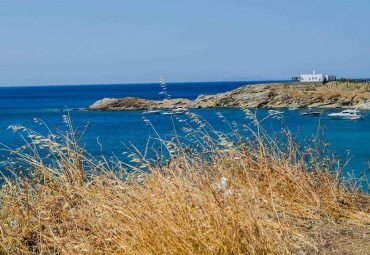 A walk to Agios Nikolaos lighthouse will offer an opportunity for the photography lovers to take amazing shots of the entire area of Vourkari bay. 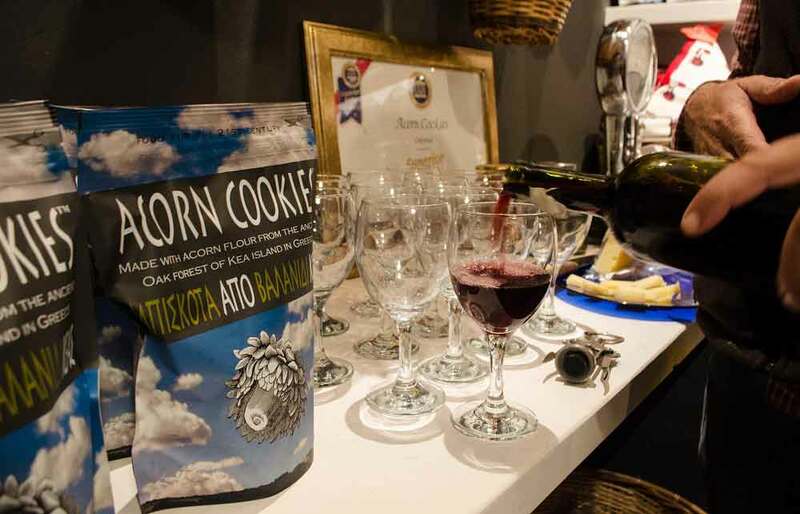 Finally we will make a stop for local wine tasting at the acorn production farm and try some of the best acorn cookies you never knew existed and learn how delicious cookies, pasta and other local products are made. At the end you can always do some last minute shopping at the port before we catch the ferry back. I think the trip it was amazing opportunity for a daily escape from Athens. 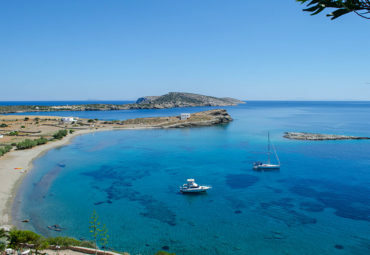 You can have the feeling of Greek island in just one day, and be back in the city the same day. I liked very much the walk around the main city, and the museum. Also the shop at the farm with the traditional products! Would gladly repeat!